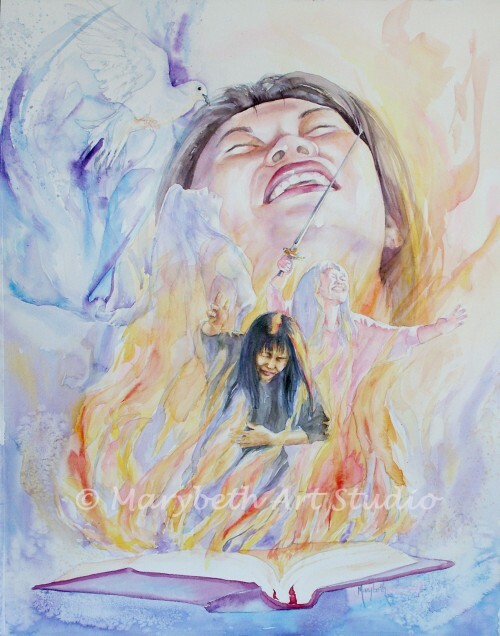 The angels said He “will come back in the same way you have seen him go into heaven.” Acts 1:11 Will He catch you unprepared? 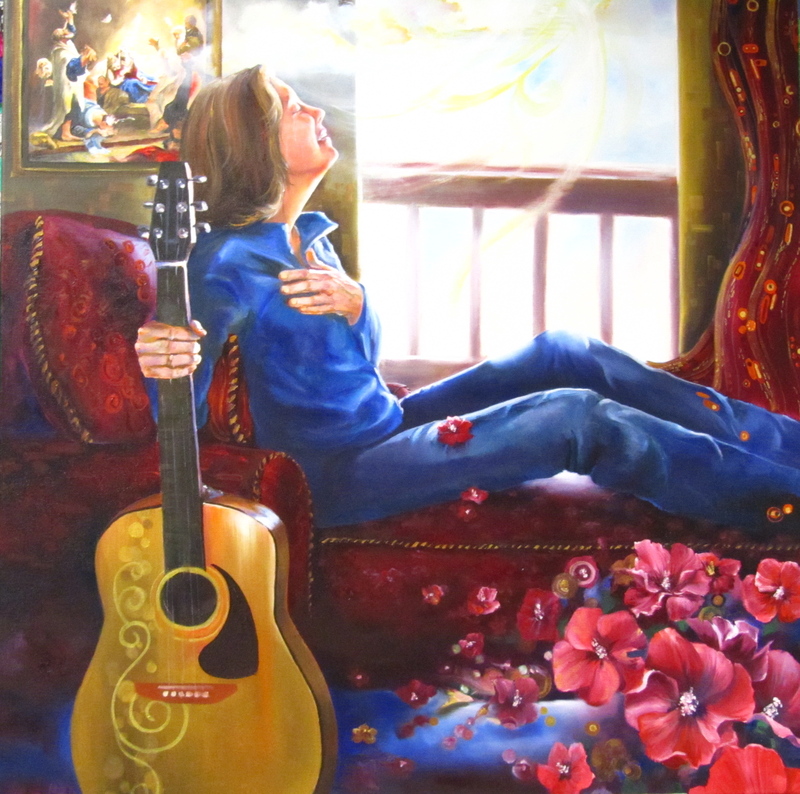 Are you watching for Him … is your heart fixed on Him or have other things drawn you away? 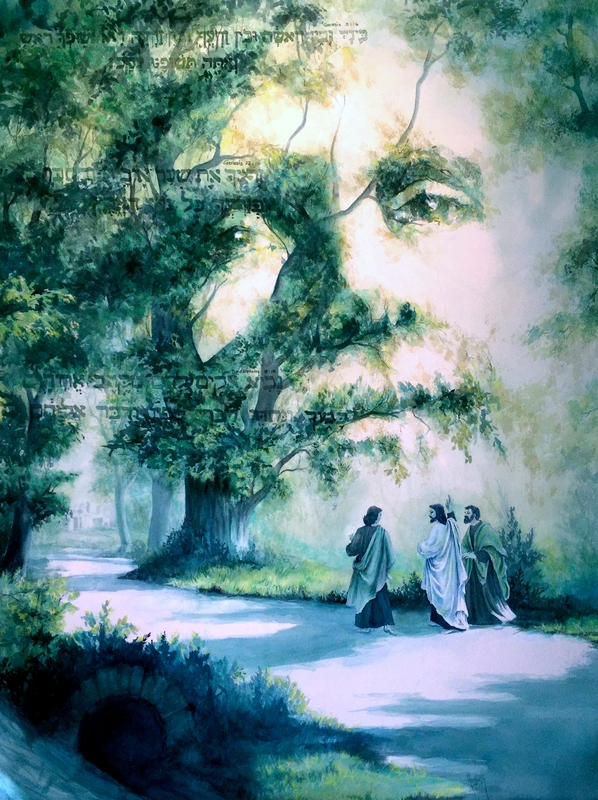 A painting by Robert Zund in 1877 depicts the 2 travelers, encountering a “stranger” on the Road back to Emmaus. 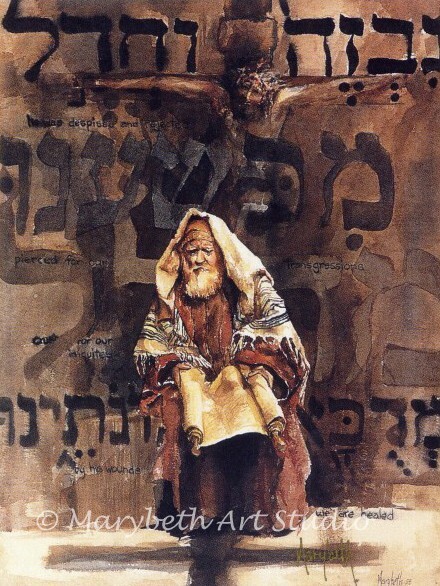 He taught them the scriptures “starting with Moses and all the Prophets”. 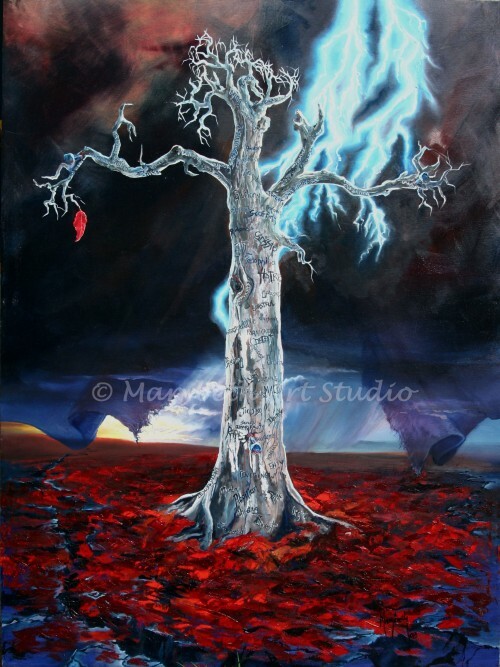 Luke 27:24 In Genesis, the first prophecy regarding the Messiah is written in Hebrew thru the trees and 2 more follow. His face, bigger than life, is all around them. They did not recognize Jesus! How strange! But wait… are you ‘seeing’ Him? 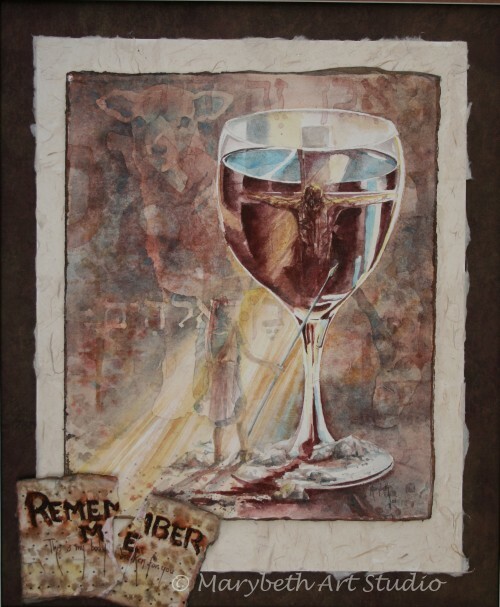 Do you talk about Him, or stay in denial, grief or anger and miss His presence too? 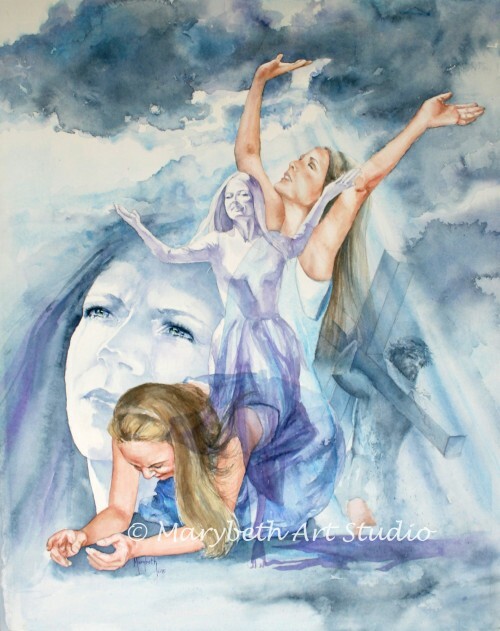 As long as she has been drawing, Marybeth has loved to capture the beauty and poignancy of people. 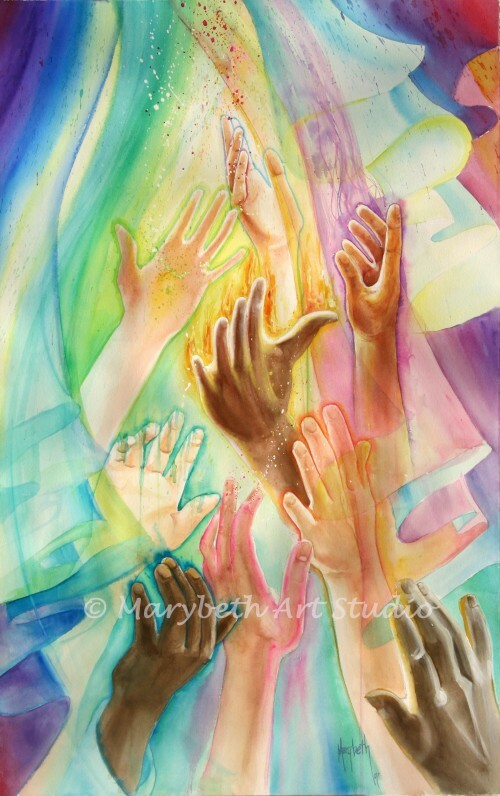 She seeks to apprehend emotions at their intersections with life, and bring the viewer into the experience of the love of God to and through His children. 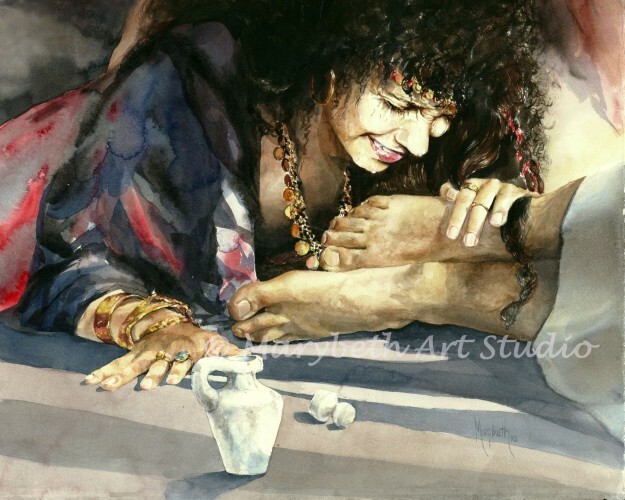 Like a mother enthralled with the wonder of her baby’s laugh, we enter in and feel the touch of God. The seed buried in the Earth, dies, and out of its death comes amazing life. The end of the story is the beginning for us! He is ALIVE! 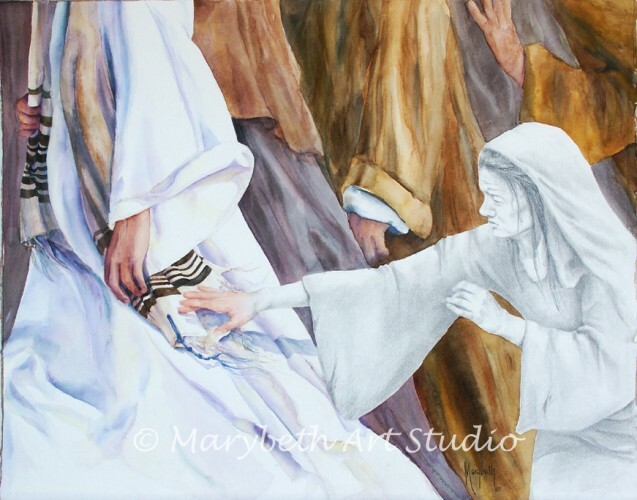 “He had risen!” He walked out of His tomb and left it behind. Sin and death are conquered. 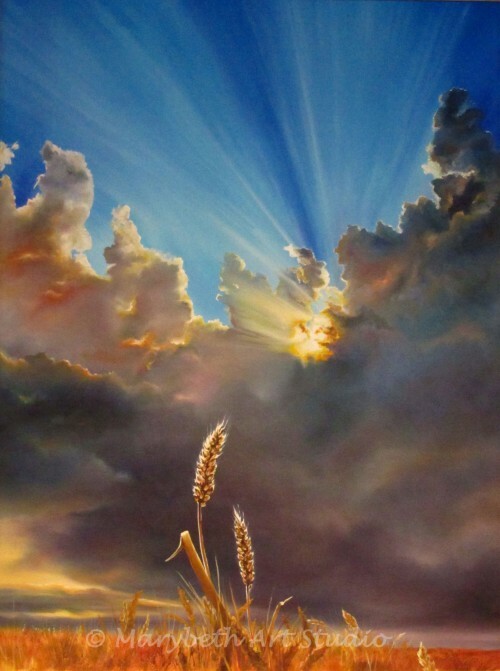 Go and grow in the light of this amazing resurrection life. 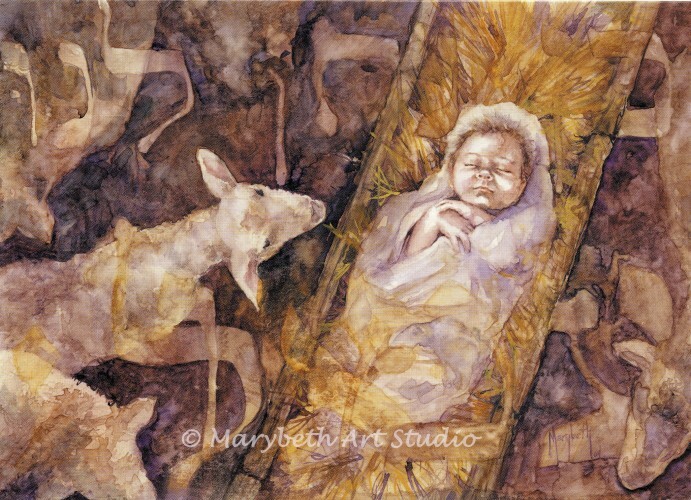 “Unto us a child is given….. 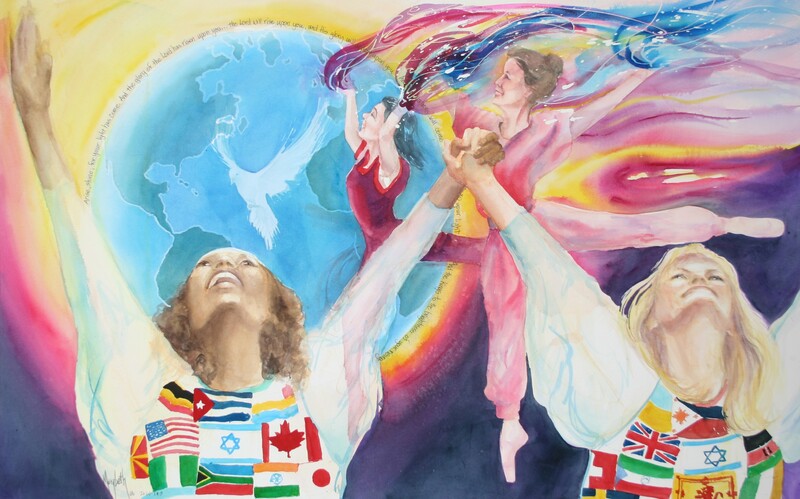 Imagine the absolute perfection of God’s plan…to give us clues and prophecies about His design down to the smallest detail, starting with the incarnation. A “stable,” shepherds, outside the city of Bethlehem, Migdal Eder, the field for sacrificial lambs. 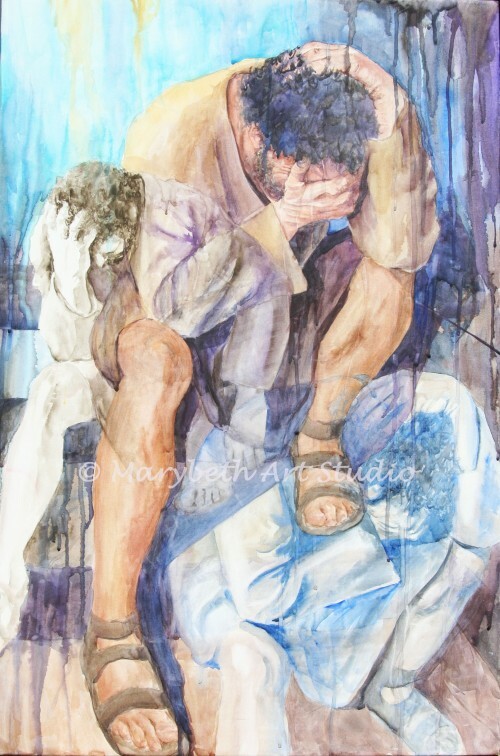 Perhaps a lambing shed, where the sheep give birth to those that will be Passover lambs: pure, spotless, unblemished males set apart for sacrifice. 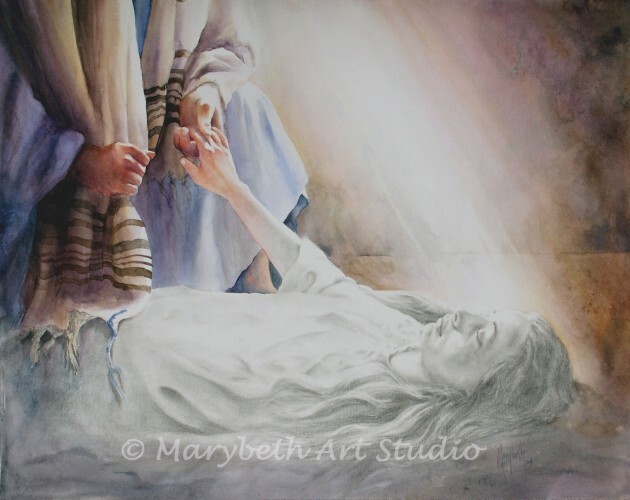 Our savior set apart from the moment of His amazing supernatural entrance into the world He came to save. 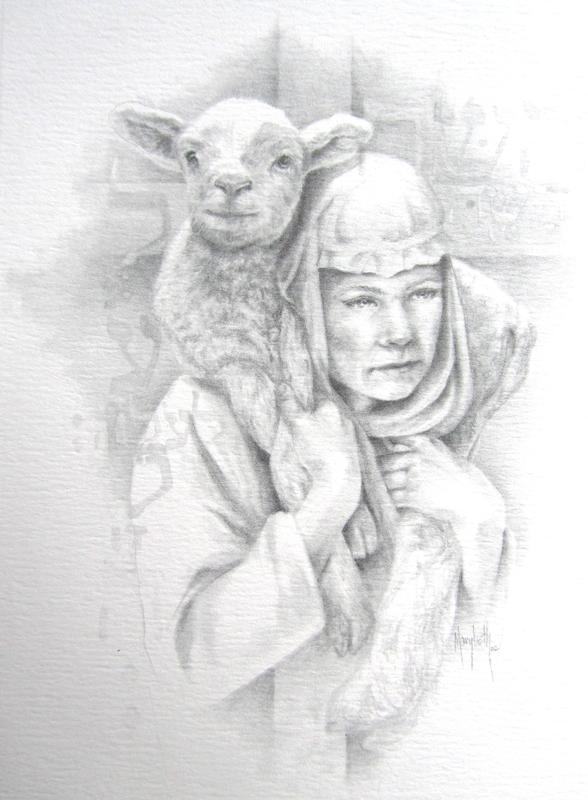 Born to be the Lamb of God that takes away sin of the world. 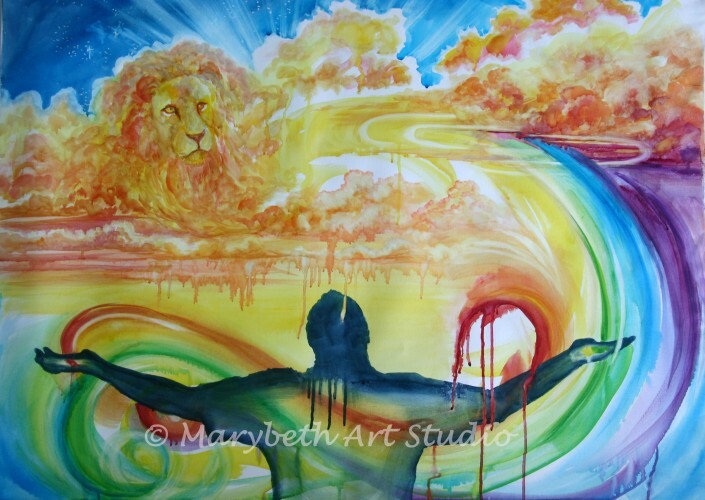 God with us–Immanuel. Peter warmed himself by the fire while Jesus was on trial, mocked and beaten. 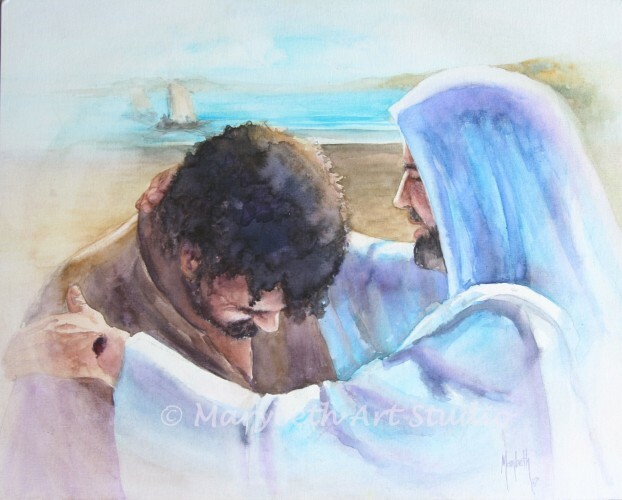 Three times Peter was accused of being with Jesus. 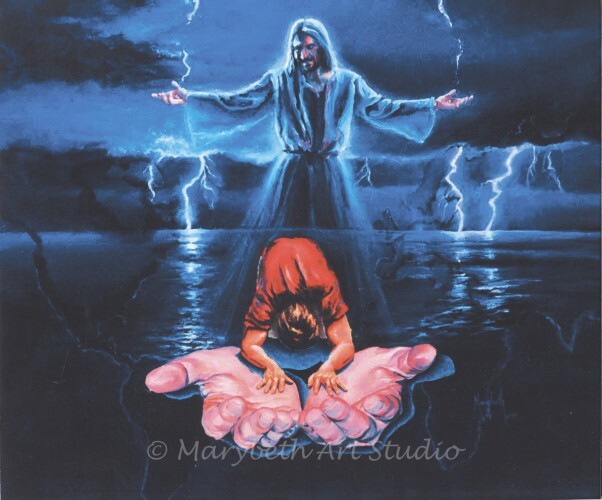 Three times he denied it, saying with a curse, “I do not know the man!” Even in the midst of torture, abuse and betrayal, our Lord looks on us with compassion and calls us back to Him. 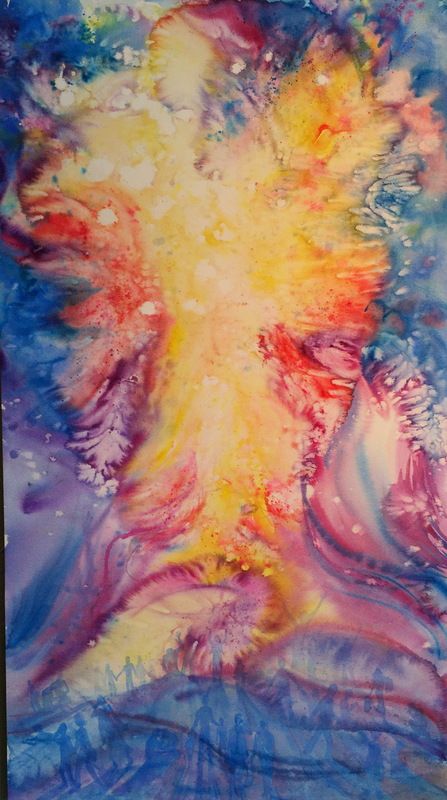 Mourn your failures, feel your mistakes and then look up and see the freedom Jesus brings. Have you ever wondered what it would be like to snuggle into the chest of Jesus and to have complete confidence in His strong arms? 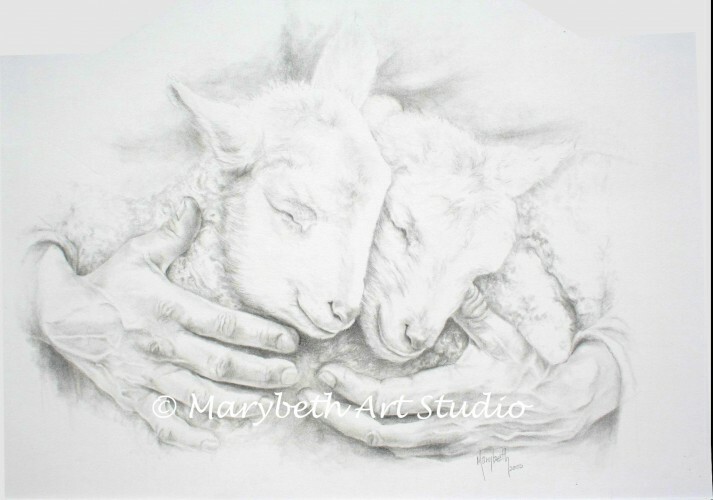 “In His Hands II” is the second in a series of lambs in the arms of Jesus. 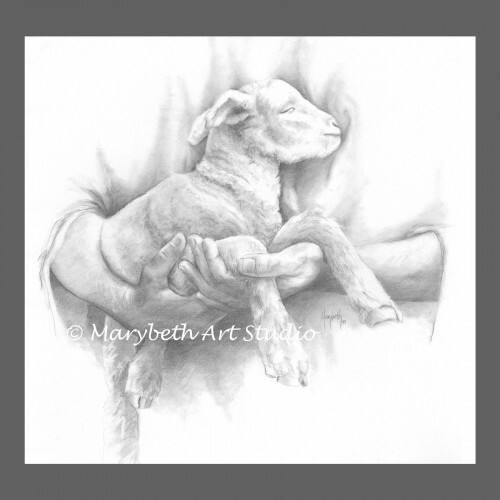 Marybeth painted the first lamb of the series in watercolor, her primary medium, but enjoys the peaceful, methodical process of pencil used in her second and third. 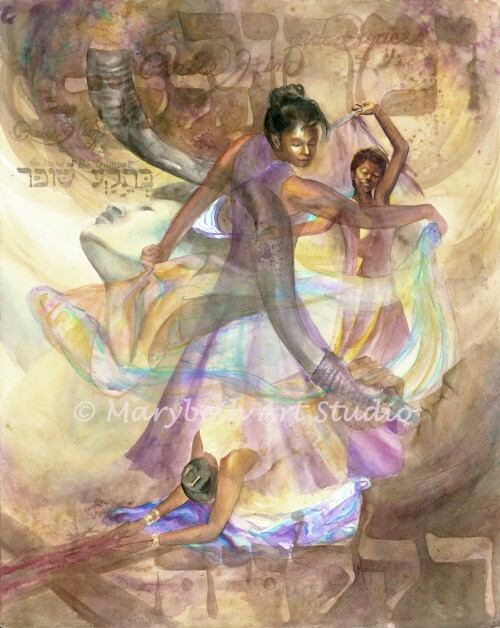 She is a “free spirit” in her dance, whirling and pirouetting freely before her Lord. 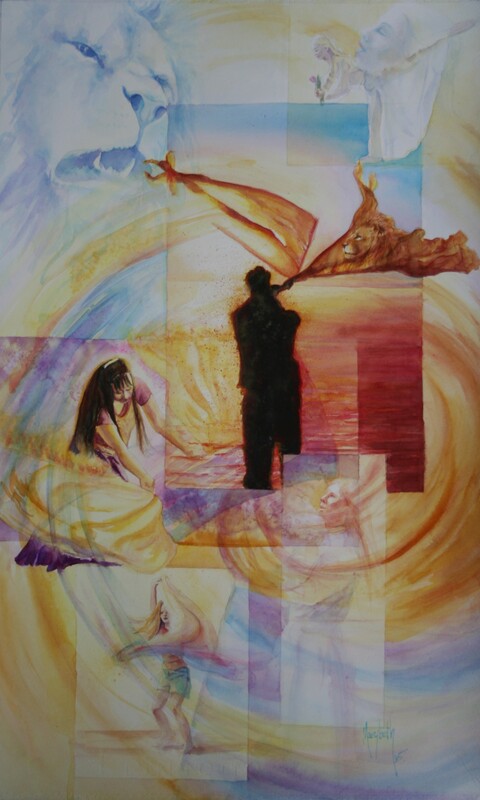 She was given the Spirit as a free gift symbolized by the dove at the center and by which she unashamedly celebrates becoming a truly “Free Spirit”. 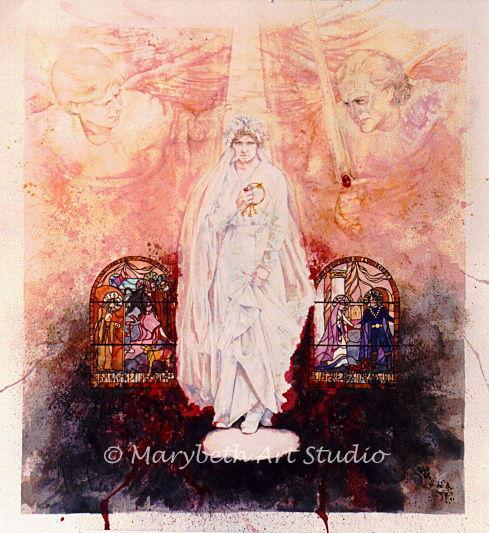 The majesty and power of a visitation by the angel Gabriel is captured in this vivid watercolor. His first words, “Fear not,” calm any heart in need of reassurance, and are inscribed in Greek down the right side of the painting. 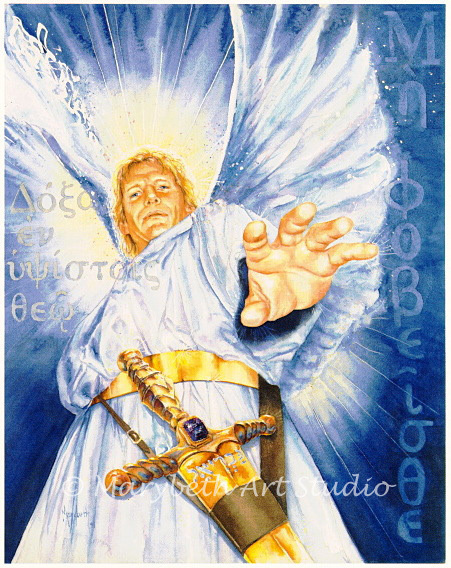 The name “Gabriel”, meaning “man of God,” is written in Hebrew on his powerful sword… a just reminder that angels are servants of the Most High, just as we are. 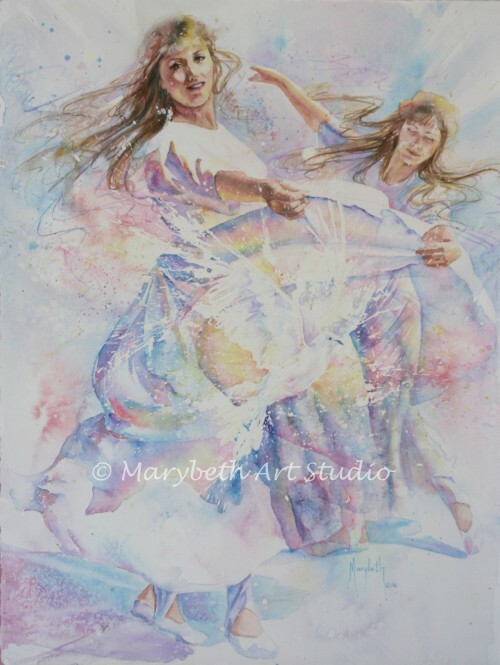 A portrayal of a timeless discovery of mourning to dancing, introspection to inspiration is captured in this overlapping, multi-image watercolor by Marybeth. 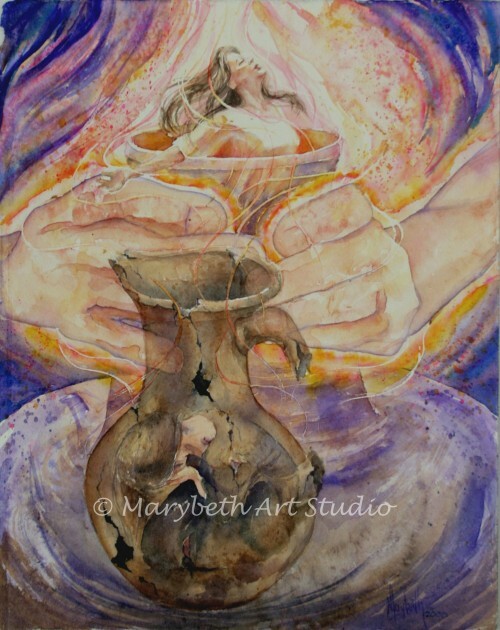 Deep worship that plumbs the depths of pain and intercession and then rises to meet the Lord in praise, adoration and dance, becomes a fragrant offering lifted up to Him.